I thought of this old Simpsons Episode. I began to think about tide, and how its so overly repeated in the shelfs of grocery stores. Then I thought what if tide had its own store? 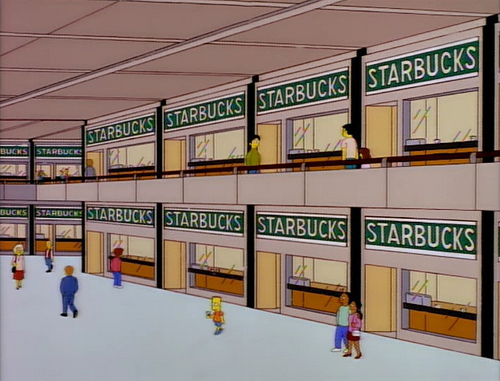 Also what if the store became as popular as Starbucks that you would see it twice during a stroll through a mall. 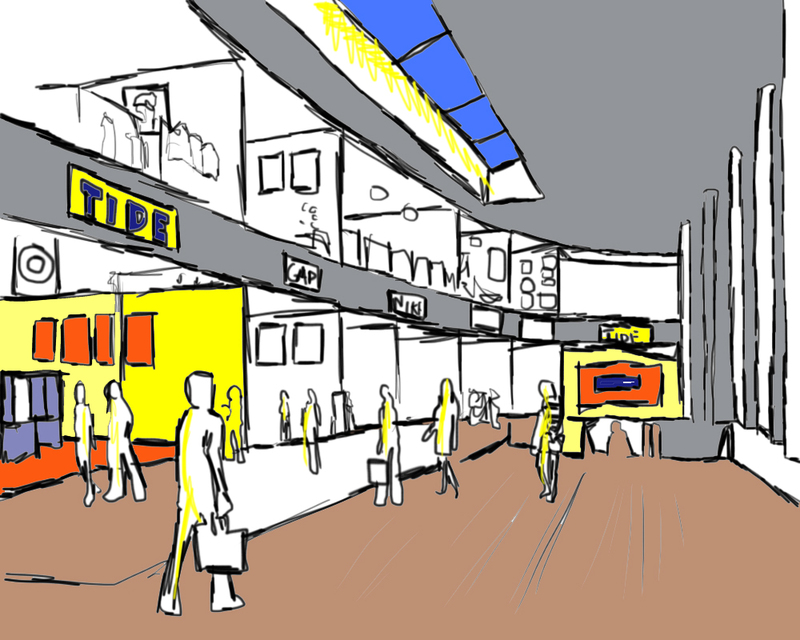 I drew up this illustration with inspiration from an architects mall rendition. 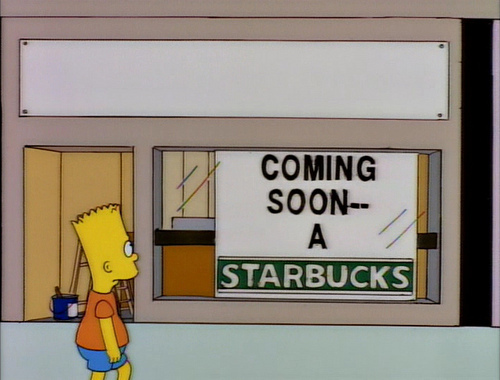 This entry was tagged coffee, Detergent, mall, Simpsons, starbucks, Tide. Bookmark the permalink.